What is Children’s Religious Education? The mission of the JRUUC Religious Education Program is to foster ethical and spiritual development in our children. Offered at the 10:00 service, children start in the sanctuary for a ‘message for all ages’, and then we sing them to their classrooms. They enjoy games, stories and a snack; activities will run until 15 minutes after the service to give service-goers a chance to socialize. Children are welcome to visit or join an RE class at any time during the year! If you are a visitor or have not yet filled out a registration form, please let the teacher know about any special needs or allergies. Children three years of age and older who attend classes regularly should be registered: Download the registration form. Our overarching theme for this year is Equity! Nursery: Our youngest children will be cared for in a loving and safe environment. Playtime, stories and snacks will be part of their activities. Pre-K to 1st Grade: This classroom will be using the “Love Surrounds Us” curriculum which explores the Seven Principles in the context of Beloved Community of family/home, school, neighborhood. Participants engage in activities that emphasize the love they feel in community. 2nd to 5th Grade: This diverse age group will be merging two curricula: “Love Will Guide Us” and “Love Connects Us.” Love Will Guide Us uses the night sky and the North Star as metaphors, and participants are “guided to love.” As they explore the night sky, participants learn to recognize and name the Unitarian Universalist Sources, as expressed in children’s language. Love Connects Us explores our legacy, from both Universalism and Unitarianism, of living our connections in loving service, inquiry, and action for social justice. At the same time, the program builds active participants in our faith. Children learn how our actions create a new heritage of connecting in love which will shape the faith of future generations. 6+ Grades: Our youth will be given an opportunity to help shape the worship service on the first Sunday of every month, and reflect on the service with our minister Rev Karen. In the other weeks they will use the curriculum “Heeding the Call: Qualities of a Justice Maker” in which youth are encouraged to view themselves as agents of change in the world as they develop qualities crucial to justice work. Heeding the Call is a social justice curriculum that not only explores linked oppressions in our society, but also encourages participants towards personal growth in values that counteract the marginalization of others. Annual fall in-gathering service. Congregants bring water (or proxy water) from spiritual experiences held over the summer months in a special service for all ages. All-ages campout with a service, held usually in late September or early October at a campground very near Madison. Annual kick-off to RE year (beginning of Sept.) Children of all ages are invited to participate in games, activities and a picnic to form connections amongst the kids and across RE classes. The entire congregation is often invited to join in part of this celebration. Spring ceremony that closes out the regular liturgical calendar. Congregants bring flowers from their gardens to service and exchanges flowers during the service. A Sunday service during the summer months usually held at a park. Includes a pot-luck picnic and games. In this beautiful ritual, we welcome, affirm and celebrate the light in a child while pledging as a congregation to partner with and support parents and family in the child’s spiritual upbringing. Other events such as: marching in the Madison Pride Parade, going to local sporting events, hiking and canoe adventures, preparing breakfast at a homeless shelter, Johnson Street Performing Arts Solon, Earth Day volunteer park clean-up, collecting food at the Farmer’s Market for food pantries, etc. Send an email to re@jruuc.org for a schedule of when they will be offered again! Our Whole Lives (OWL): Designed for 7th – 9th graders to help them make informed and responsible decisions about their sexual health and behavior. It equips participants with accurate, age-appropriate information in six subject areas. Grounded in a holistic view of sexuality, OWL provides not only facts about anatomy and human development, but helps participants to clarify their values, build interpersonal skills, and understand the spiritual, emotional and social aspects of sexuality. Coming of Age program: As youth prepare to leave childhood, congregations seek to honor this transition. 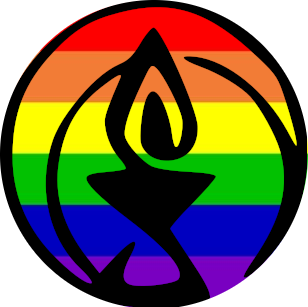 Unitarian Universalist teenagers usually join their congregations with a special “Coming of Age” ceremony. This ceremony is often preceded by a year-long curriculum helping them to learn more about Unitarian Universalism and articulate their own beliefs. The Coming of Age ceremony usually features the youth reading their statements of personal belief (credo statements) to the congregation.